Inspection cameras with comfortable pistol grip design with 3.2" color TFT LCD monitor for high visibility viewing. 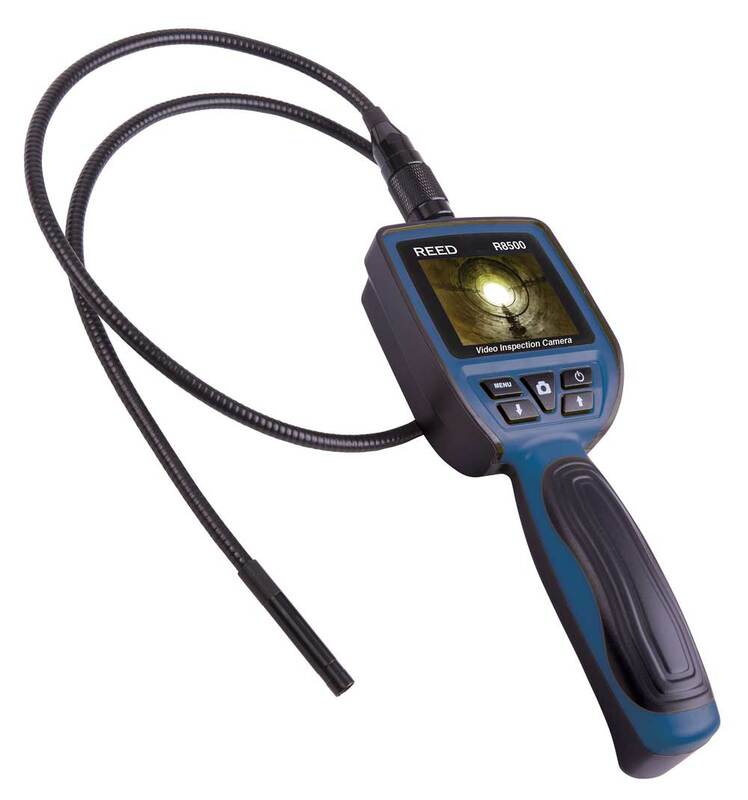 This high resolution video inspection camera features a 39"" (1m) gooseneck cable with 9mm camera. The R8500 is capable of saving images and recording video on an external memory card (sold separately). The R8500 includes a camera mountable magnet, hook and mirror to assist with specific applications. Low battery indicator and auto shut off "